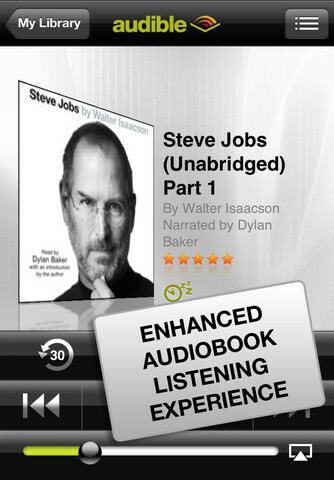 Audible for iPhone is Audio books manager and player of Audible audio files. Not enough time for all the books you want to enjoy? Download the app by Audible, an Amazon company, to listen to books on the go. Immerse yourself in a great story anytime, anywhere, by downloading from a breathtaking range of 100,000+ titles to your iPhone or iPod Touch—from best sellers to classics, and everything in-between. If you need more information please contact the developers of Audible for iPhone (Audible, Inc.), or check out their product website.